God Is a Spirit, and as such has knowledge. He is a perfect Spirit, and as such has perfect knowledge. 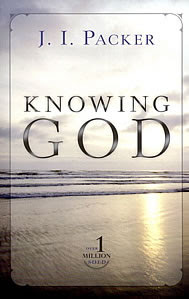 By Omniscience is meant that God knows all things and is absolutely perfect in knowledge. (1) Scriptures setting forth the fact of God’s Omniscience. In general: Job 11:7, 8—“Canst thou by searching find out God? Canst thou find out the Almighty unto perfection?” Job’s friends professed to have discovered the reason for his affliction, for, forsooth, had they not found out the secrets of the divine wisdom unto perfection. No, such is beyond their human, finite ken. Isa. 40:28—“There is no searching of his understanding.” Jacob’s captive condition might lead him to lose trust and faith in God. But Jacob has not seen all God’s plans--no man has. Job, 37:16—“The wondrous works of him which is perfect in knowledge.” Could Job explain the wonders of the natural phenomena around him? Much less the purposes and judgments of God. Psa. 147:5—“His understanding is infinite.” Of His understanding there is no number, no computation. Israel is not lost sight of. He who can number and name and call the stars is able also to call each of them by name even out of their captivity. His knowledge is not to be measured by ours. 1 John 3:20—“God knoweth all things.” Our hearts may pass over certain things, and fail to see some things that should be confessed. God, however, sees all things. Rom. 11:33—“How unsearchable are his judgments and his ways past finding out.” The mysterious purposes and decrees of God touching man and his salvation are beyond all human comprehension. Prov. 15:3—“The eyes of the Lord are in every place, keeping watch upon the evil and the good.” How could He reward and punish otherwise? Not one single thing occurring in any place escapes His knowledge. 5:21—“For the ways of man are before the eyes of the Lord, and he pondereth all his goings.” We may have habits hidden from our fellow creatures, but not from God. Psa. 147:4—“He telleth the number of the stars; he calleth them all by their names.” Man cannot (Gen. 15:5). How, then, can Israel say, “My way is hid from the Lord?” Cf. Isa. 40:26, 27. Matt. 10:29—“One ... sparrow shall not fall to the ground without your Father.” Much less would one of His children who perchance might be killed for His name's sake, fall without His knowledge. Prov. 5:21—“For the ways of man are before the eyes of the Lord, and he pondereth all his goings.” All a man’s doings are weighed by God. How this should affect his conduct! Psa. 139:2, 3—“Thou knowest my downsitting and mine uprising, thou understandest my thought afar off. Thou compassest my path and my lying down, and art acquainted with all my ways.” Before our thoughts are fully developed, our unspoken sentences, the rising feeling in our hearts, our activity, our resting, all that we do from day to day is known and sifted by God. v. 4—“There is not a word in my tongue, but lo, O Lord, thou knowest it altogether.” Not only thoughts and purposes, but words spoken, idle, good, or bad. Exod. 3:7—“I have seen the affliction....heard the cry: know the sorrows of my people which are in Egypt.” The tears and grief which they dared not show to their taskmasters, God saw and noted. Did God know of their trouble in Egypt? It seemed to them as though He did not. But He did. Matt. 10:29, 30—“But the very hairs of your head are all numbered.” What minute knowledge is this! Exod 3:19—“And I am sure that the king of Egypt will not let you go, no, not by a mighty hand.” Here is intimate knowledge as to what a single individual will do. Isa. 48:18—“O that thou hadst harkened to my commandments! then had thy peace have been as a river,” etc. God knows what our lives would have been if only we had acted and decided differently. 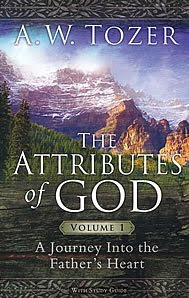 dd) God has a perfect knowledge of all that transpires in human history. With what precision are national changes and destinies foretold and depicted in Dan. 2 and 8! Acts 15:18—“Known unto God are all his works from the beginning of the world (ages).” In the context surrounding this verse are clearly set forth the religious changes that were to characterize the generations to come, the which have been so far literally, though not fully, fulfilled. ee) God knows--from, all eternity to all eternity what will take place. The omniscience of God is adduced as the proof that He alone is God, especially as contrasted with the gods (idols) of the heathen: Isa. 48:5-8—“I have even from the beginning declared it unto thee; before it came to pass I showed it thee.....I have showed thee new things from this time, even hidden things,” etc. 46:9, 10—“I am God....declaring the end from the beginning, and from ancient times the things that are not yet done, saying, My counsel shall stand, and I will do all my pleasure.” Here God is announcing to His prophets things that are to occur in the future which it is impossible for the human understanding to know or reach. There is no past, present, future with God. Everything is one great living present. We are like a man standing by a river in a low place, and who, consequently, can see that part of the river only that passes by him; but he who is aloof in the air may see the whole course of the river, how it rises, and how it runs. Thus is it with God. (2) Certain problems in connection with the doctrine of the Omniscience of God. How the divine intelligence can comprehend so vast and multitudinous and exhaustless a number of things must forever surpass our comprehension. “O the depth of the riches both of the wisdom and knowledge of God! How unsearchable are his judgments, and his ways past finding out!” (Rom. 11:33). “There is no searching of his understanding; it is beyond human computation.” We must expect, therefore, to stand amazed in the presence of such matchless wisdom, and find problems in connection therewith which must for the time, at least, remain unsolved.